GVROs allow a judge to issue an order for firearm confiscation based on a complaint from a family member. 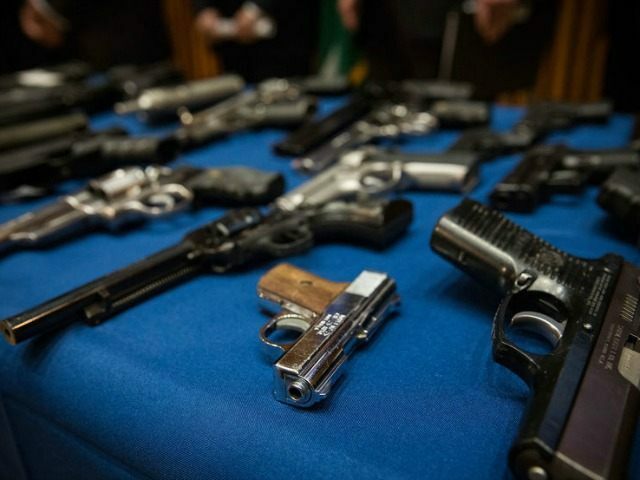 The order can be issued without the gun owner’s involvement in the process, which means the owner may not know his firearms are being taken until police knock on his door. Southern California Public Radio reports that gun confiscations under GVROs last 21 days initially. After the three weeks, the judge re-evaluates and can extend the confiscatory period to one year. A similar framework has been touted by D.C. politicians and Gov. Scott in the wake of the February 14 Florida school shooting. The problem with the push is that the host family with whom gunman Nikolas Cruz was staying did not appear to detect the danger he might pose to the community. In one instance, they called police on him, then explained away his actions when police arrived. UCLA’s Adam Winkler warned that this was the great weakness which made GVROs unrealistic in the first place. In May 2015, Winkler warned that GVROs would not deliver the safety promised because family members/close relations would not see the violent potential of those they loved. He used Sandy Hook Elementary School gunman Adam Lanza as a case in point, as Lanza’s mother never saw the potential for evil her son possessed. The other problem with GVROs is the danger they pose to due process. In other words, when an order is issued, it equates to suspending a constitutional right. And that right can be suspended without the gun owner’s say in the matter.